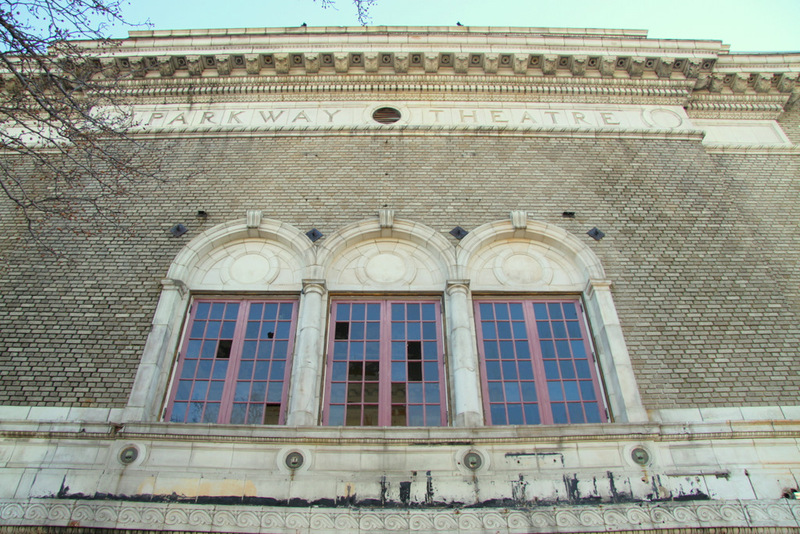 The BDC will start over again with the redevelopment of the historic Parkway Theatre. Above: The Parkway Theatre, built in 1915, has been unused as a movie theater for decades. It’s back to square one for Baltimore’s Parkway Theatre. The city has kicked out the developer of the long-vacant landmark on North Ave. near Charles St., two years after giving him exclusive rights to convert the building into a $12-million performing arts venue. The decision caught developer Samuel Polakoff by surprise and led some community leaders to wonder what lies ahead for both the theater and the Station North Arts and Entertainment District. “It’s a disappointment,” said Don Donahue, president of the Charles North Community Association, who was informed of the decision by The Brew during a meeting yesterday of local business owners. The Parkway, an architectural gem designed after a famous London theater, was the centerpiece of the Charles North Vision Plan, a development effort unveiled in 2008 by then-Mayor Sheila Dixon. The area has since developed a lively thatchwork of food, art and entertainment businesses amid gritty blocks of vacant buildings and empty lots. “Now we’ll have to go through the process once again” of turning the Parkway into a productive part of the scene, Donahue added. The BDC only announced yesterday that it was issuing a RFP (Request for Proposals) for redevelopment of three city-owned properties – 1820 North Charles St., 1 West North Ave. and 3 West North Ave., the former Parkway Theatre. According to yesterday’s announcement, proposals to renovate the Parkway to support “cabaret, film, live music, and live performance or other appropriate uses” are due by March 30, 2012. “Reliance on public sector financial support is discouraged,” the document added. The RFP process is slow. Under a typical timetable, a new developer won’t be selected by the BDC – and approved by the Board of Estimates – until the end of 2012. Actual reconstruction probably won’t begin until 2013 or 2014. Station North advocates were clearly disappointed by the likely two-year hiatus in rehabbing the theater and adjoining buildings. Ben Stone, executive director of the arts district, put on a brave face yesterday, saying, “the area is experiencing an exponential curve upwards,” but conceded that the presence of three decaying, vacant buildings at a key crossroads is a setback. John R. Grant, who runs the Parkway Theatre Revitalization Initiative, said his biggest worry was the physical deterioration of the theater. “We know its roof has experienced leaks and the building may have sustained other damage,” he said in an interview last night. The theater’s bank of windows is pockmarked with missing panes. The facade is rust-stained, and a mosaic near the front door is cracked and broken up. It is hard to tell what the inside is like because solid metal doors cover the entrance. 1820 N. Charles – slated to be connected to the theater – is in worse shape. The building is part of a trio of ornate, castle-like rowhouses built around 1885 by the A.S. Abell family. Yesterday, the building had a boarded-up front door, broken glass and small trees growing out of windows on the upper stories. There was cardboard in the doorway, suggesting people might sleep there at night. A sign posted on the building, dated August 26, 2011, says, “Emergency Condemnation and Demolition,” and warns the public to stay away. The building at Charles and North – also owned by the city and part of the new RFP package – is plastered with ripped-up posters and graffiti. The neon lights that once advertised “cheese steaks” and “ice cream” are dark. During the two years that he had an exclusive negotiating privilege with the city, Polakoff said he never entered the Parkway. That’s because the BDC initiated the original RFP process – and selected Polakoff’s company – before it had legal control of the theater. The property was seized by the BDC as eminent domain from owner Charles Dodson. But Dodson kept the city from gaining legal access to the theater – where he lived and said he wanted to rehabilitate – until a few months ago, according to Polakoff. “So after all this time, we were still in the concept phase because we never actually got into the theater,” Polakoff explained. Even after the BDC gained possession of the property, it did not permit him entry, he said. Polakoff said he was able to inspect the interiors of the other city-owned buildings and said he warned the city that 1820 N. Charles had badly deteriorated. Patterned after the West End Theatre in London, the Parkway’s design is considered one of the finest examples of theater architecture in the city. Opened in 1915, it was acquired in 1926 by the Loews organization. Between the mid-1950s and 1970s it operated as the Five West Art Theatre, then, as the neighborhood around it deteriorated, as low-rent office space. A McDonald’s drive-through restaurant was built immediately to the west of the building, adding a jarring note to the classically styled theater. The Parkway has been vacant since 1998. In 2004, for one night only, the building was reopened. The Baltimore Sun’s Jacques Kelly toured the oval-shaped auditorium and pronounced it smaller but prettier than the Hippodrome Theatre. He said the plaster work, “ever tasteful and refined,” had survived mostly intact, and even the draperies and curtains seemed undamaged. “Its reclamation would sent a fabulous vote of confidence to the neighborhood north of Penn Station, which seems to be on the edge of a wonderful revival,” he concluded back in 2004. –Fern Shen contributed to this story.